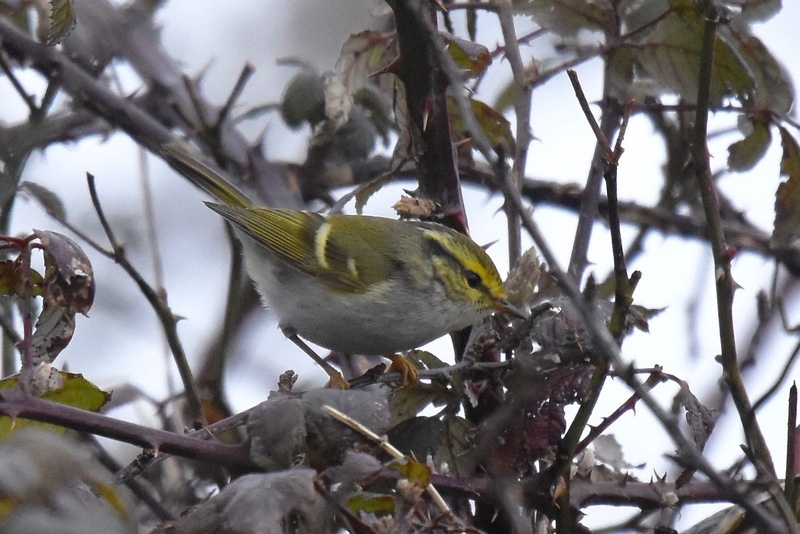 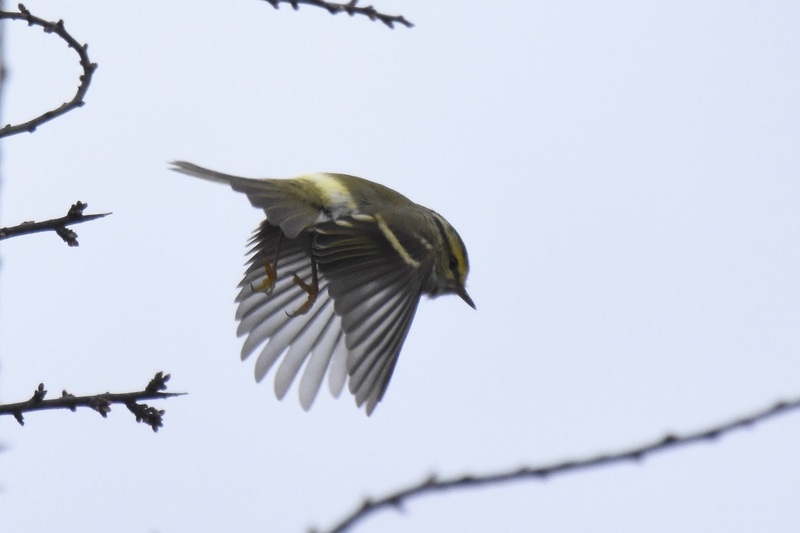 A spur of the moment decision yesterday morning to take a trip to see the Portesham Pallas's warbler turned out to be a great success. Within a few minutes of our arrival is was showing really well and continued to do so on and off from then on. It was a shame the light was rather dull but it is a strikingly beautiful little bird and was lovely to see whatever the light. 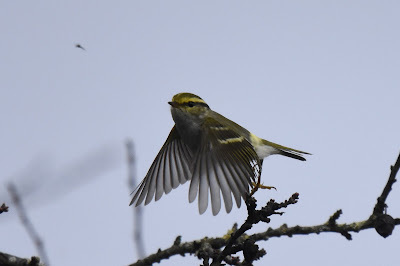 It was very active chasing lots of little flies. 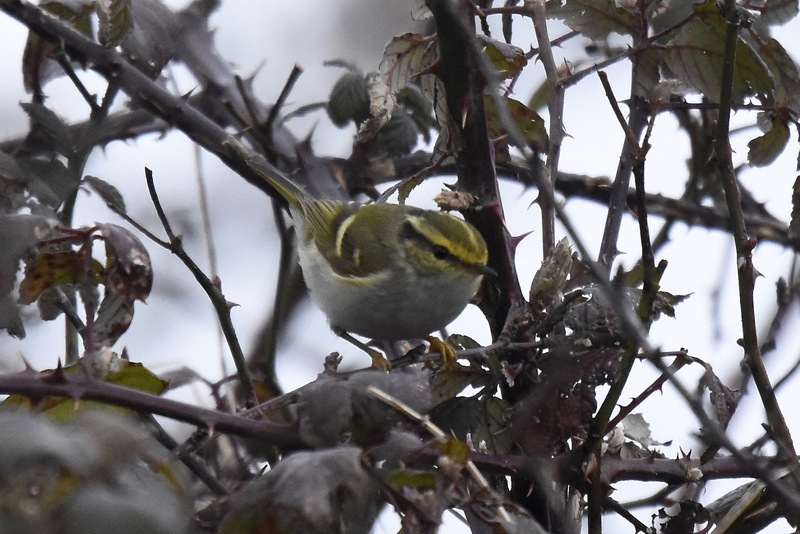 While being quite mobile around the bushes and trees it gave me a really enjoyable hour.